Upon receipt of the camera, each photographer shall e-mail James Surprenant at ne1ri@yahoo.com to confirm receipt. In response, James will provide you with the name address and e-mail address of the next photographer. Each photographer may shoot as many rolls of film as he or she likes, but must try to turn the camera over to the next photographer as soon as possible. Ideally, each photographer should have the camera for only one week, excluding complicating real life circumstances. Black & white or color photography is acceptable. 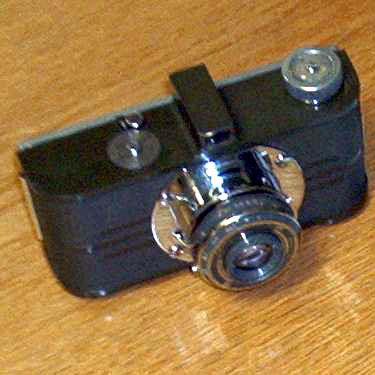 Photographers may submit two photographs taken with the World Argus Model A in jpeg format. Photos should be as high a resolution as possible as they may be eventually published in print. (Image resolution will be reduced for publication on the AWA2 website to no larger than 600x900 pixels.) When sending large files, please compress the files into a single *.zip file, if possible. Photographs should be sent electronically to ne1ri@yahoo.com for upload to the web site. Be sure to indicate "World Argosy Photos" in the subject line of your email. 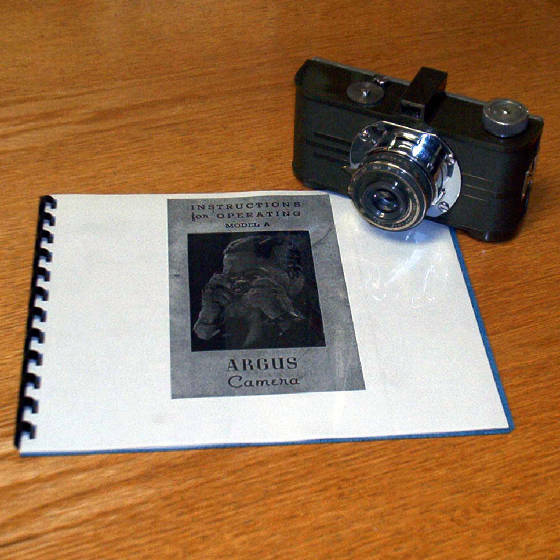 Each photographer may also submit a self portrait in addition to their two photographs taken with the World Argus Model A. Self portraits need not be taken with the World Argus Model A, but we encourage you to include the camera in your portrait. Direct hand-offs are encourage whenever possible. If meeting with other participants to hand off the camera, please feel free to submit jpegs of the exchange for inclusion on the website. A brief comment on the photographer's time with the camera which may include some basic biographical information, the list of places he or she took the camera, interesting anecdotes of other peoples' reaction to the camera, etc. These "journal entries" will be included on their site with their photographs. Please be certain to pack the camera well if shipping it by the postal service, FedEx or UPS. Every participant assumes the costs associated with shipping the camera to the next user. Upon completion of the World Argus Argosy II, the World Argus Model A shall be donated to the Argus Museum in Ann Arbor Michigan.